You need to choose your install method. Is this your personal computer? Use the "Home Version" instructions (to the right). Is this a school computer? Use the "Student Version" instructions (below). Once you have completed all lessons (at reasonable speed) then try the games. If this computer is your personal computer, and your computer uses Microsoft Windows (either XP, Vista, 7 or similar), then you can download and install TuxTyping with the file below. After downloading, install this just like regular software. Students need "tuxtype.zip" (because they don't have administrator privileges). 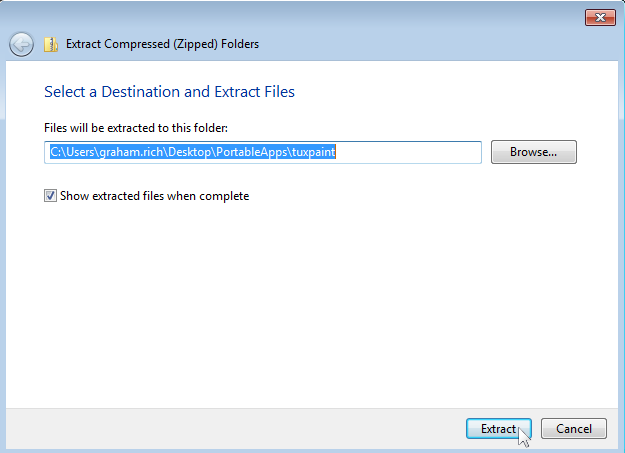 After you download the file, you will need to unzip it. (If you don't know what that means, use the "To Install (Student Version)" instructions on this page. 2. Go to the folder where TuxType.zip is stored. 3. 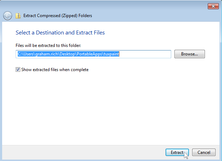 Unzip the file using "Extract All". 4. Double-click on the file "TuxType"
Right-click on the file called "TuxType"
Choose "Send To" --> "Desktop (...)"
Now you're ready for the Lessons! By the way, this software is "open source", so it is part of a community effort, which so happens not to charge for their software. Awesome! Here's the official TuxTyping site.